Our goal is to help your beauty, hair or spa salon grow with the rising market demand and thrive in today's economy. Running a beauty salon, nail or hair salon or spa takes so much more than fancy scissor-work and the newest products. It takes dedicated, outgoing and passionate businesspeople and employees who enjoy interacting with their clients. People go to salons & spas not just to look and feel better, but to socialize, make plans and catch up on the latest gossip. Increasingly, beauty and hair salons & spas are offering more high-tech services and procedures that require expensive training and equipment. Finding the right staff members with the appropriate personalities and qualifications can also be time-consuming and expensive. Salons & Spas require superior service and atmosphere, even more so than other industries because of what they represent to their customers. People go to the Salon or Spa to forget and to be pampered — they don’t want anything to disrupt or dampen their experience. For this reason, the hard working owners of Salons & Spas must remain especially vigilant about maintaining inventory, upkeep of their location and equipment, and training courteous and professional staff. Along with strategic marketing, these things will differentiate salons & spas from their competitors, and keep customers coming time after time. Apply to get up to $500,000 now! How Funding Wizards can help my beauty salon? We’ll provide the funding, and you simply determine how best to allocate the cash. Operating a salon or spa requires a range off skills and abilities; likewise, it presents a range of cash flow and financing needs. Perhaps your beauty salon or spa needs working capital in the short term, or perhaps you want to move or remodel. 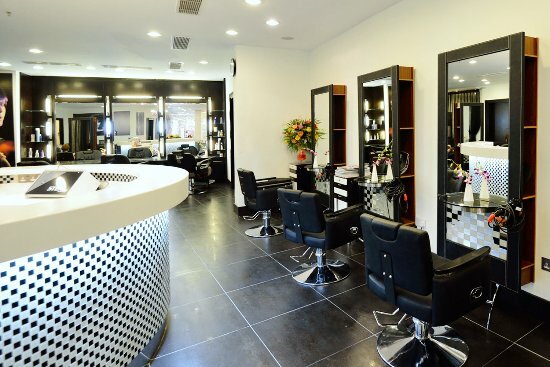 Many beauty salons choose to invest in new or pre-owned equipment to provide a better experience for clients, while others opt to improve the physical layout or décor of their salons. In the end, the choice is yours. You’re the expert, and no one knows how to run your small business as effectively as you do, so make the wise choice today and leverage a small business loan or merchant cash advance from Funding Wizards to drive your businesses into the next level of performance. Successful Salon & Spa owners understand the need for consistent, reliable funding and a professional financing partner. Applying is completely free. How? The lender pays our fee, not you.